The anime movies and specials based on the above. OCs are allowed here too! 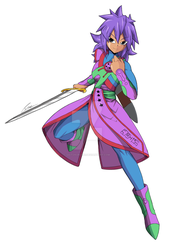 Fanart for made-up/fan series (like Dragonball AF, Dragonball Multiverse, Dragonball Absalon, etc.) go here provided they are continuations of/similar enough to Dragonball, Dragonball Z, or Dragonball GT! Vector/vexel work goes to the Dragonball Z GT Wallpapers Stamps Etc folder!